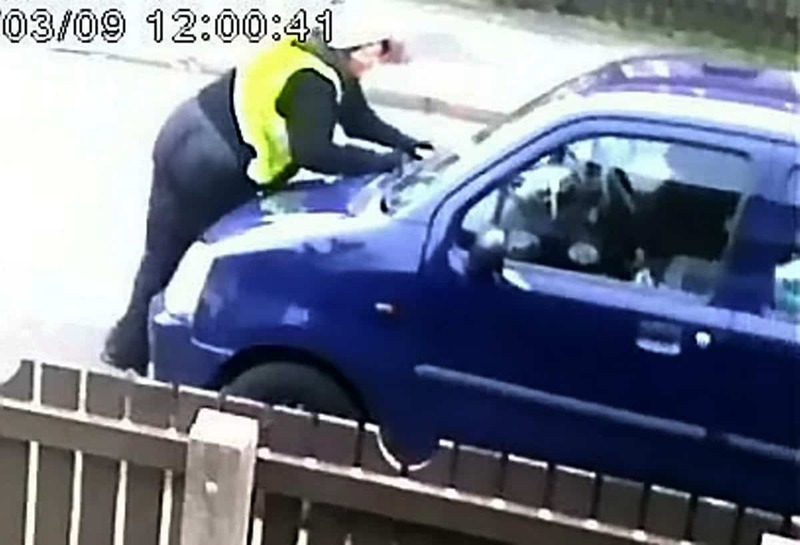 This is the shocking moment a female delivery driver is run over by her own vehicle – after it was stolen while she was on her rounds. A neighbour who witnessed the incident said: “I saw her suddenly run around the side of the van and stand in front of it, banging on the bonnet and shouting for help, to block his way. CCTV shows a man thought to be in his 30s, wearing a lack waterproof jacket, light coloured baggy jeans, and work boots running towards the van before it was stolen. The woman, understood to be aged 45, was taken to hospital with serious injuries.